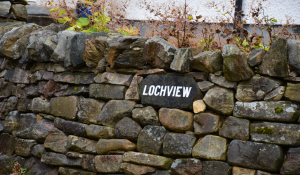 Lochview Guest House is an ideal base to explore the wonderful sights and scenery that the Highlands has to offer, including Strathconon on our doorstep, a scenic glen of outstanding beauty for 17 miles, and named the "no through road to the West". The glen is long and beautiful, with few visitors today but was once an important route between the East and the West. In the main its rounded with rolling heathery summits of 2,5oo feet. Perfect for the wild Red deer, elusive Eagles, Otters and array of birds such as Green Woodpecker, Red Kite, and Tree Creepers. You can walk the unspoilt paths and tracks for miles, fish in the Lochs and rivers and shoot with the local estates (with prior arrangement). 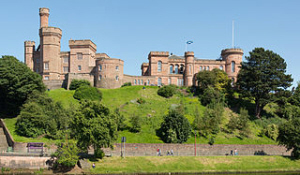 Inverness-Shire and Ross-Shire has something for everybody, why not take a trip on Loch Ness, a visit to Culloden battlefield or spend a day in Inverness exploring the shops and restaurants. Some of the local highlights for visitors are Loch Ness and its famous monster, with Urquhart Castle and the local glens, Affric, Strathfarrar and Cannich being particularly beautiful. For the golfing enthusiast the local area is a haven with some of the best courses available at realistic rates, and if you fancy a real test the World famous Royal Dornoch Golf Club is just an hours drive and Nairn Links Golf Course is around a 40 minute drive. Castle Stuart golf course, a venue for multiple Scottish Open tournaments is less than a 50 minute drive from Lochview. A trip on the Moray Firth where dolphin spotting takes place. See the bottle nose dolphins and their young cavorting in the Firth, a sight that will live in the memory forever is a short drive from our location. The traveling fisherman can enjoy a variety of fishing adventures with Salmon fishing on the rivers Conan and Blackwater, with Trout fishing on a number of local Lochs including our very own Loch Achilty. Daily and weekly permits are available locally. Fancy a dram?. Why not take a trip to the Muir of Ord or Glenmorangie distilleries, or further afield you can explore the famous Malt Whisky Trail. Travelling further afield you will find the Isle of Skye, the Castle of Mey, Inverewe Gardens, Eilean Donan Castle, amongst many other gems. The scenery in the Highlands is stunning, so spend some time exploring the countryside. There are Highland Games throughout the summer at various venues. Before you arrive why not take a look around and view a selection of images of the Lochview Guest House, the accommodation, the breakfasts, and a few shots taken over recent months. 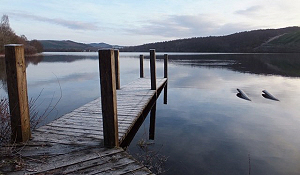 You can also see images of the local area which offers a wealth of leisure options in stunning surroundings.